Cloudbusters bring your event into the forefront of your customer’s line of vision! 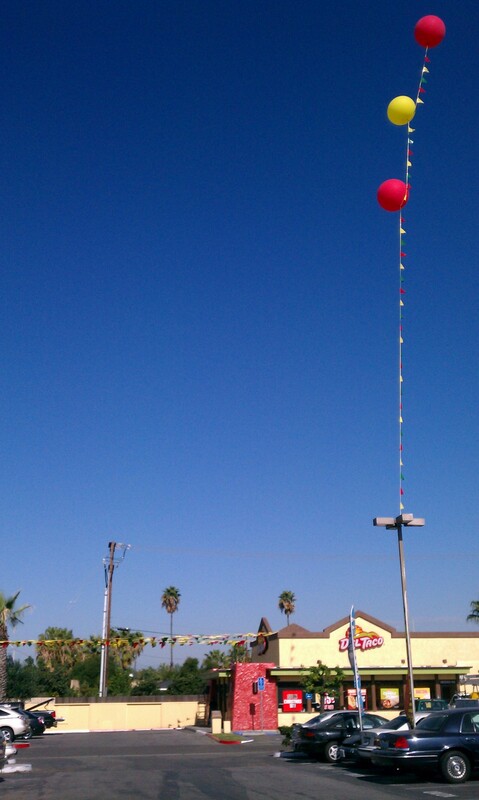 These high flying durable balloons come attached with pennant strings so your event is visible for miles away. Don’t let all that real estate above your location go to waste, add a few cloudbuster balloons and watch as customers head your way to check out what the buzz is about. Made with chloroprene, these balloons are strong, don’t fade easily and they’re able to withstand hot summer heat. Add a giant advertising balloon to your next event or promotion – get UpFront and out of the background!